Are We Heading To Another Financial Crisis Globally In 2018? After hours of reading and research I am writing this important post. This post will give you answer to the question Are We Heading To Another Financial Crisis Globally In 2018? I am sorry if the title is scary and you don’t want to know or hear the answer it’s okay. But by reading this post I strongly believe you are going to get new insights and the solution to the problem. Do You Remember The 2007-2008 Recession? The truth is 2007-2008 recession was predicted before by experts. We didn’t paid our attention to it so we didn’t prepared for it. Experts are saying we are not yet fully recovered from the 2008-2009 recession. And few experts are stating we are already in a recession only but we are not aware of it. What majority of the experts predicting? 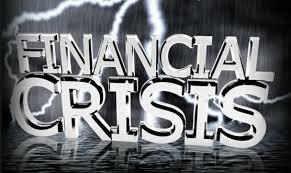 Is Another Global Financial Crisis Coming? To make it simple the answer is YES (I am sorry to say that I too felt bad after knowing this). As like the 2007-2008 recession was predicted before by experts, many experts are predicting and warning us again of a global financial crisis. 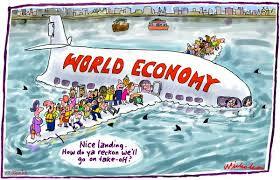 Several Economic indicators points towards a decline in economy and business. The bad news is analysts and journalists across the world are starting to warn us of an impending crash that could be even worse than the one we experienced in 2008. Dear friend wake up! Who Are The Experts Predicting The Financial Crisis? 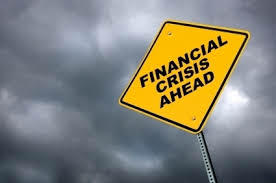 Most of them agree that the underlying causes of the 2007–2008 financial crisis were never fully addressed, and that current conditions resemble in alarming ways the run-up to that collapse. Minqi Li – Professor of economics at the University of Utah. His recent books include The Rise of China and the Demise of the Capitalist World Economy (Monthly Review, 2009), Peak Oil, Climate Change, and the Limits to China’s Economic Growth (Routledge, 2014), and China and the Twenty-first Century Crisis (Pluto, 2015). Mary Mellor – Emeritus Professor in the Department of Social Science, Northumbria University, UK. Her recent books include The Future of Money: From Financial Crisis to Public Resource (Pluto, 2010) and Debt or Democracy: Public Money for Sustainability and Social Justice (Pluto, 2015). Tim Di Muzio – Associate Professor in International Relations and Political Economy at the University of Wollongong, Australia. author of The Tragedy of Human Development (Rowman & Littlefield, 2017). Richard Murphy – Professor of Practice in International Political Economy, City, University of London. He blogs at Tax Research UK. Michael Roberts – Marxist economist who has worked in the City of London for over 30 years. He is author of two books: The Great Recession: A Marxist View (Lulu,2009) and The Long Depression (Haymarket, 2016). He blogs at thenextrecession.wordpress.com. Lena Rethel – Associate Professor of International Political Economy at the University of Warwick and Visiting Fellow at the Oxford Centre for Islamic Studies. Author of The Problem with Banks, with Timothy J. Sinclair (Zed Books, 2012). Lena is a member of the I-PEEL: the International Political Economy of Everyday Life pedagogic initiative. These are Eminent scholars know what they are speaking. Banks are struggling – You might see that on news. Many big companies are in debt and some big companies are closed. Political Instability – This is the resent condition in many countries. Unemployment – This is the major problem all over the world. Corruption – This is a big threat. Volatility of stock market and oil prices. One of my dearest friend Jerry Huang attended this seminar. 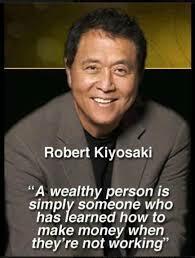 Other than Robert T. Kiyosaki who is the main speaker of the event, there are 6 other guest speakers that are invited to the event. Tom Wheelwright (Tax) – Tax Expert & Robert Kiyosaki Advisor. Peng Joon (Internet Marketing) – World’s Leading Authority in Wealth Creation Online. Sandy Jadeja (Trading) – Chief Market Strategist & International Trading Educator. Andrew Cordle (Real Estate) – Self-taught Real Estate Investing Expert. Jonathan Por & Grace Lim (Business & Entrepreneurship) – Founder of PIF Capital, Business Consultants and Speakers. All the speakers at the event are foreseeing a market crash that is way more critical than the 2007 financial crisis. 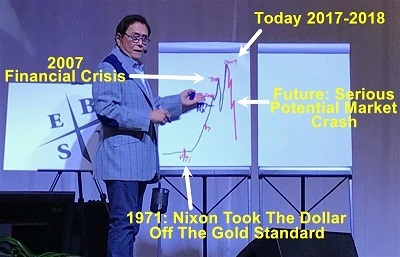 Below is the picture of Robert Kiyosaki predicting the market crash. When It’s Going To Happen? To be honest the answer is in the future, any time. So I will request you to take preventive measures and there is no harm in taking a preventive measure. Deliver the best and get ready for the worst. So if you are ready and prepared to manage the worse anytime you are in a safer zone. Am I making sense? Reduce your expenditure cost cutting. Know your debts and plan to pay it off. “Debt Free” needs to be your primary goal. Plan Plan Plan and Implement all the things on your list. Be smart and take measures right now prevention is better than cure. Financial Freedom is the ability to live the lifestyle you desire without having to work, or rely on anyone else for money. 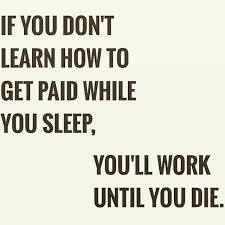 I want you to be your own boss and be financially free. Are you ready? Hope this post Are We Heading To Another Financial Crisis Globally In 2018? gave you some serious thoughts to think and take action. Yes you have the right to reject the information I presented or to take it serious and build MSI to be on a safer side. The best ways to do that is to increase your income by having multiple source of income and reduce your spending. Building up your savings is the key. It’s not how much we earn makes us rich, it’s how much we save makes us rich. We have responsibilities and we don’t want our loved ones struggle at any time. You need to make yourself recession-proof right away so if the predictions do come true, you reduce the negative effects and hopefully survive until the economy recovers again. I will strongly recommend you to start an online business and establish your own business. Hello Paul, thank you so much for the alert. And the information. As normal every day people, what else would you suggest we do to insure that we are not impacted? MSI multiple source of income is the best way and secondly cutting down unnecessary expenses and saving money will help us. Great post Paul! Thanks for the mention. Over the past few months, I’ve attended several other seminars and there are more information. 1) Industry experts are always hiding things from the public. For example, they’ve taken down the news that several banks are not lending money to one another simply because many banks are out of money today. If any of them shut down, there will be serious impact. 2) According to Sandy Jadeja, we should all look out for June to July 2018. This is a very important period of watch. Its my pleasure to have your comment on my website my friend. Thanks for the great information and adding value to my post. Thanks a lot for the inspiration, motivation and your continuous support my friend.